The community of Gee’s Bend is located in Wilcox County at the heart of a stretch of land extending from Texas to Virginia that is called the Black Belt for its thick, fertile soil. It is a region that has historically been characterized as home to “the richest soil and the poorest people” in the United States. Situated some thirty miles southwest of Selma at the tip of a thumb of land demarcated by a deep loop in the Alabama River, the community has been isolated for most of its existence by geography, poverty, and outside indifference. Of necessity, the women of Gee’s Bend pieced quilts to keep their families warm. 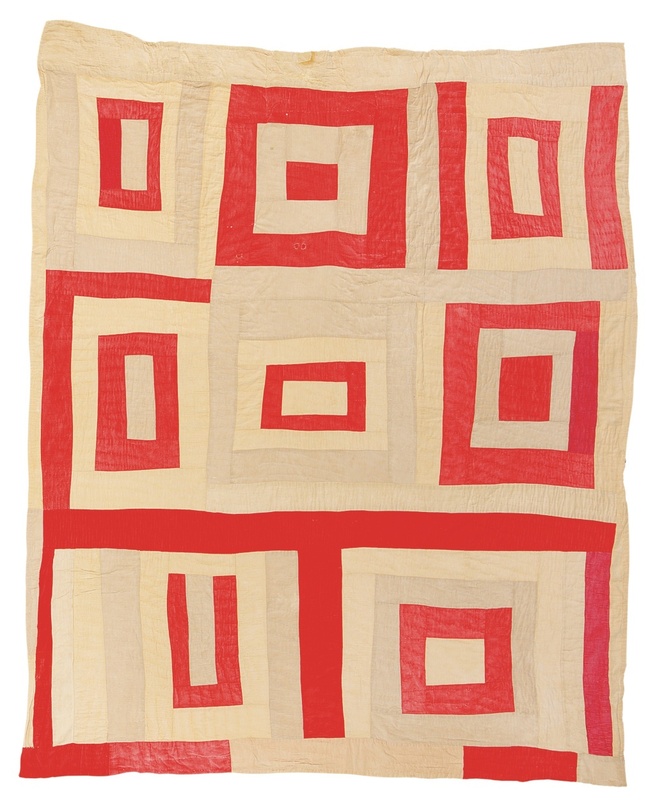 Using scraps of everyday fabrics like cotton sheeting, corduroy, and denim, which was often salvaged from well-worn work clothes, the women created quilts of astonishing beauty and originality. In design, the quilts are equally remarkable. 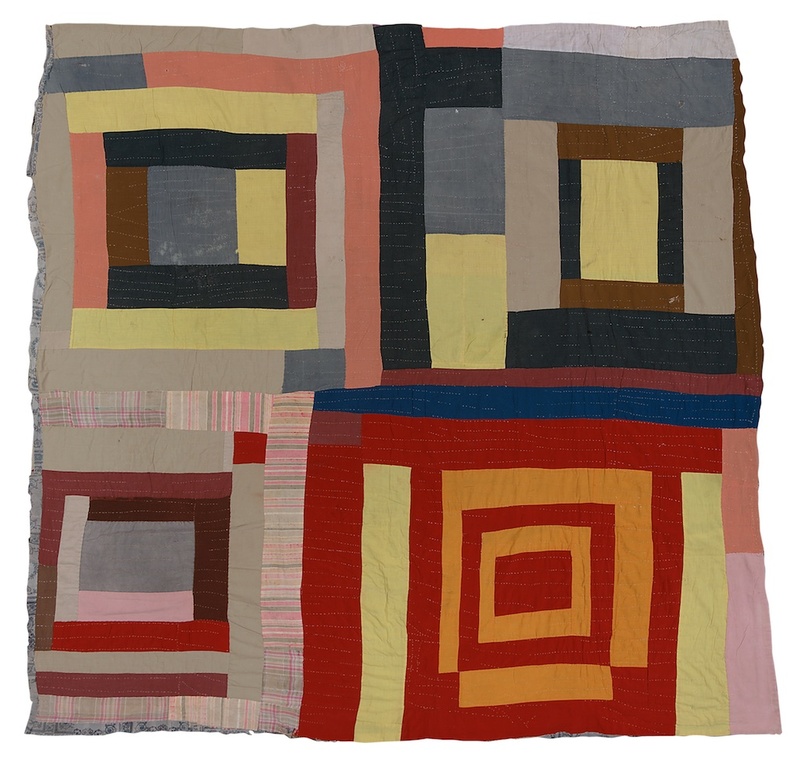 Bold geometric shapes, dramatic shifts in scale and color, and an improvisational approach to the way the fabrics are assembled produce abstract compositions more akin to the rhythms of jazz and African art than to the order and repetitiousness of many traditional American quilts. The quilters learned their craft from their mothers or grandmothers, but placed special emphasis on individuality and innovation with each new quilt. The stunning body of work on view—the product of forty-two women, a number of whom are mother and daughter—allows viewers an opportunity to appreciate both the continuity and the individuality of their work. The exhibition also provides a look into the lives and thoughts of the quilt makers themselves, most of whom are descendants of slaves on the plantation that once occupied the site. 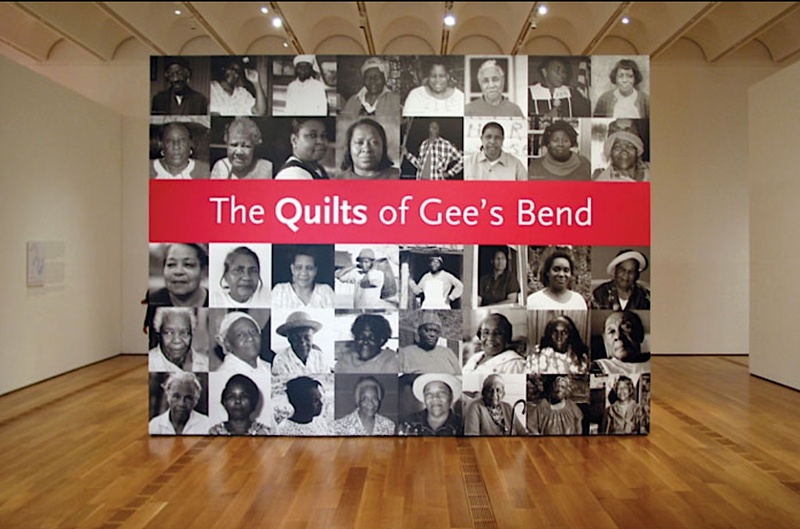 In photographs, through their music, and most of all, through their own narratives in a video that accompanies the exhibition, the women of Gee’s Bend make their stories known. Their family histories, religious faith, and their views about their art and where it has taken them add a fascinating and human dimension to the dazzling display of their talents.